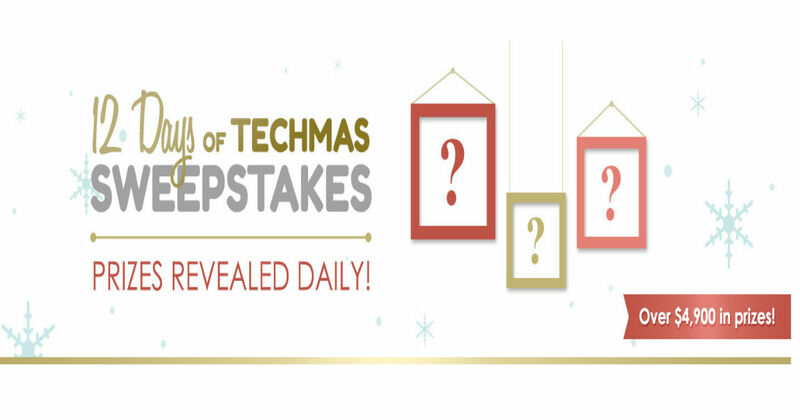 Enter the 12 Days of Techmas daily for a chance to win a LG 43" HDR Smart LED 1080p TV, ASUS Laptop, $50 Newegg Business Gift Cards, Acer Chromebook, Homall Racing Style Ergonomic Computer Gaming Chair, and more. Sorry! This offer is no longer available. Get our daily free samples and coupons newsletter. While MySavings.com makes every effort to post correct information, offers are subject to change without notice. Some exclusions may apply based upon merchant policies. Are you sure that you want to report this offer as invalid?